The first two paragraphs of Osho’s discourses on the Heart Sutra by Gautama Buddha follow. If you have never listened to these discourses or read this book, here is a taste of a very beautiful discourse series by Osho. You can download the series or purchase it in CD format for audio and of course purchase the book to read. I salute the Buddha within you. You may not be aware of it, you may not have ever dreamed about it — that you are a Buddha, that nobody can be anything else, that buddhahood is the very essential core of your being, that it is not something to happen in the future, that it has happened already. It is the very source you come from; it is the source and the goal too. It is from buddhahood that we move, and it is to buddhahood that we move. This one word, buddhahood, contains all — the full circle of life, from the alpha to the omega. But you are fast asleep, you don’t know who you are. Not that you have to become a Buddha, but only that you have to recognize it, that you have to return to your own source, that you have to look within yourself. A confrontation with yourself will reveal your buddhahood. 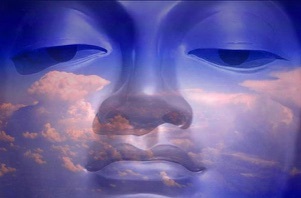 The day one comes to see oneself, the whole existence becomes enlightened. It is not that a person becomes enlightened — how can a person become enlightened? The very idea of being a person is part of the unenlightened mind. It is not that I have become enlightened; the ‘I’ has to be dropped before one can become enlightened, so how can I become enlightened? That is absurdity. The day I became enlightened the whole existence became enlightened. Since that moment I have not seen anything other than Buddhas — in many forms, with many names, with a thousand and one problems, but Buddhas still. So I salute the Buddha within you.